(NaturalHealth365) About 1 in 8 women in the United States will develop invasive breast cancer over the course of her lifetime. In 2016, an estimated 246,660 new cases of breast cancer are expected to be diagnosed in women – throughout the U.S. – along with 61,000 new cases of non-invasive breast cancer. These numbers are staggering and Western medicine continues to promote a system of treatment – which merely waits until a woman gets diagnosed and only offers expensive (and risky) surgical procedures, toxic chemotherapy agents and cancer-causing radiation therapy that fails to address the root cause of disease. 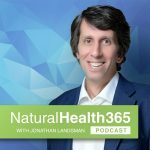 Subscribe to the NaturalHealth365 newsletter to receive our FREE shows, lots of great health gifts + the latest news and information on natural health solutions. Today, on the NaturalHealth365 Podcast, I’ll introduce you to a cancer survivor committed to helping women to naturally overcome their cancer diagnosis – without the fear of harm, almost guaranteed by following conventional medical advice. Our guest created the Annie Appleseed Project, a non-profit that provides information, education, advocacy, and awareness for people with cancer and their family and friends who are interested in complementary or alternative medicine (CAM) and natural therapies from a patient’s perspective. I’ll be blunt: The information you’re about to hear can be truly lifesaving for someone concerned about breast cancer – so, please, share this program with someone you love before it’s too late. The myth surrounding ‘maximum tolerated dose and why every cancer patient needs to hear this message. The real reason why Western medicine resists learning about successful integrative medical techniques for overcoming a cancer diagnosis. The surprising (true) meaning of a ‘5-year Survival mark’ for cancer patients. Exposed: Why health conferences are ignoring natural therapies and lifestyle changes. Unique opportunity for every cancer patient: Learn more about the 11th Annual Complementary & Alternative Cancer Therapies conference. Ann was diagnosed with invasive lobular carcinoma of the left breast after she found a lump in January 1993, using breast self-exam. She had a lumpectomy and was given an axillary node dissection without her “INFORMED” consent. She was Stage 1 at that time. Ann refused radiation due to reading papers that indicated NO survival advantage. She was (and is) chemically sensitive and was afraid to do chemotherapy. Her readings indicated that as a Stage 1 with slow growing (S phase of 3.5%) cancer it was unlikely she would benefit from this treatment. She joined a support group in NYC at SHARE (2/93) – where women in the newly diagnosed group asked what she planned to do and when she mentioned alternative therapies a study group began. This study group has met monthly since early 1994. Speakers are invited and topics of interest to the community of people with cancer are discussed. Many of the early reports of The Annie Appleseed Project grew out of this. The post NH365 084: Breast cancer – What patients need to know appeared first on Natural Health 365.